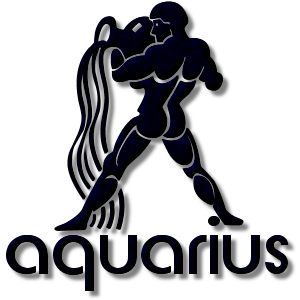 Add an Aquarius The Water Carrier Zodiac stampette to your Facebook and Twitter profile images and show your star sign. In ancient Greece Aquarius is identified with Ganymede, a youth whom Zeus fell in love with. Zeus in the guise of an eagle represented by the constellation Aquilla, carried Ganymede to Mount Olympus to be a cup bearer to the gods. Aquarius was the pourer of waters during the mythical great flood through the constellation or Eridanus the river.